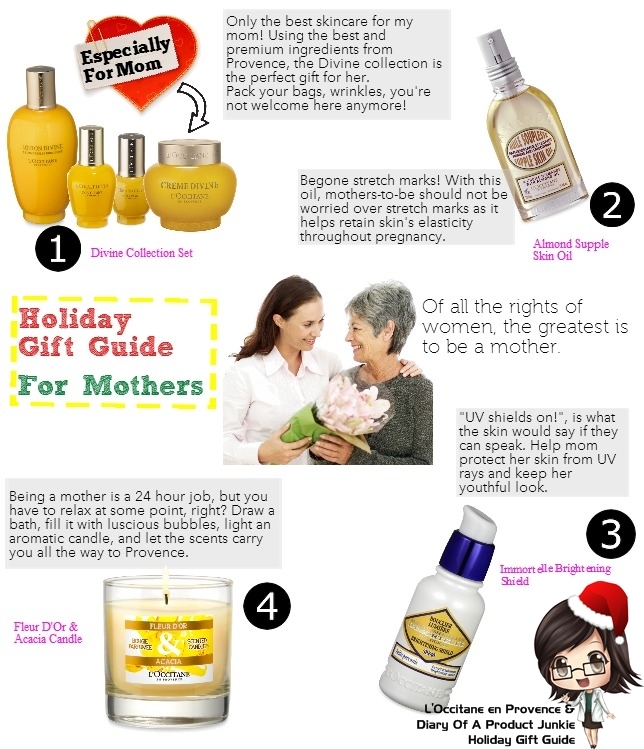 Hello, lovelies~ It's day three of my week long post about holiday gift guide from L'Occitane. Did you know that L'Occitane has one of the prettiest gift boxes this holiday season? Even their paper bag is decorated with Christmas colors! Today, I'm be talking about my picks for our mothers. Mother's day is coming up (22 December), so this can double up as a guide for Mother's day. 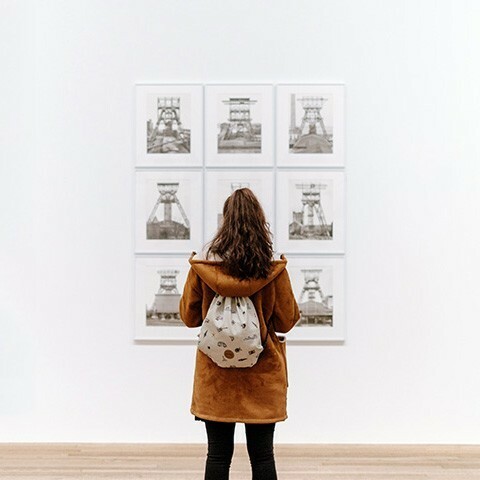 Luckily, there is the Divine collection from L'Occitane that helps to fight the aging process, perfect for moms who have exhibited signs of aging. For new moms, I chose Almond Supple Skin Oil to prevent any stretch marks before it happens. They can help fight aging during the day with Immortelle Brightening Shield that brightens their face as well. To unwind and relax, the scents from Fleur D'Or & Acacia candle is the best.